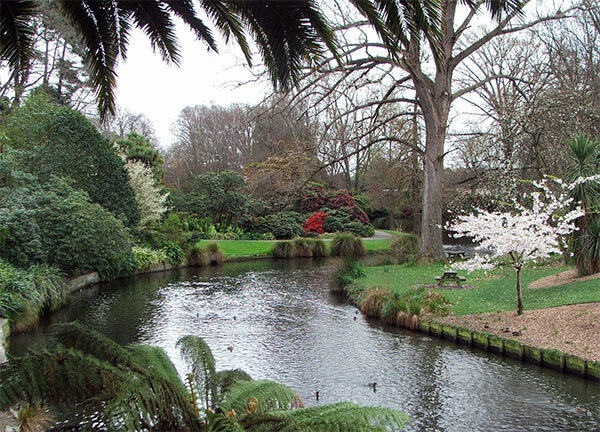 I've just paid a mid-spring visit to the Christchurch Botanic Gardens - firstly to rudely seek out dramatic scenes of plant and tree destruction after last week's spring snow storm, and secondly to take photographs of the Magnolias, the Azaleas, and assorted mid-spring things. Second things first. In the Moosey garden I don't have any large Magnolia trees. Those in the Botanic Gardens are very old, stuck in contortionist's poses with grey twisted limbs. 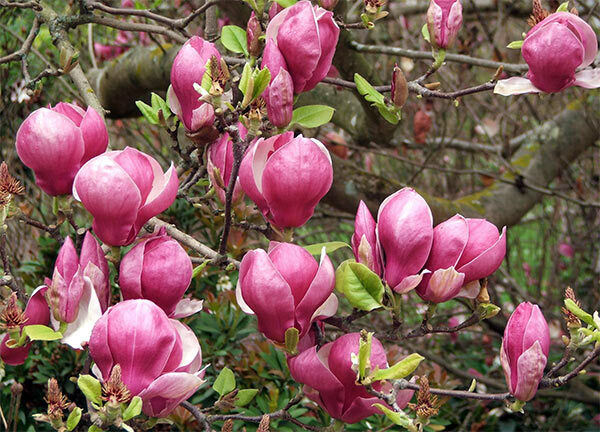 Magnolias have the most beautiful tree-flowers I've ever seen, and I really should get more for my own garden - before I am as very old and grey as the real things! I have one Magnolia Stellata and one juvenile Magnolia Grandiflora which is nether 'grand' nor 'flora' as yet! The Azaleas in the rock garden were in full flower - bright purples, shocking pinks, cerises and magentas - all the hard-to-miss, in-your-face colours. A rock garden which houses such unsubtle inmates must be on a grand scale - otherwise the Potentillas and tiny wild Primroses would be overpowered. 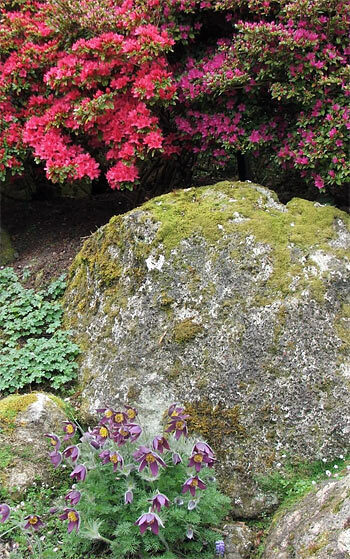 The Botanic Gardens Rock Garden does just this - it is a successful blend of big, wild colours and delicate treasures. It has quiet, gravel paths, lots of little labels (necessary evils for visiting, enquiring gardener-minds) - and great rocks, too! As a country gardener, I fully accept the noise of the chainsaw in the garden soundscape. So the tree-men busy at work sawing broken tree branches didn't bother me. Several large trees had been felled by the weight of the snow. One gets a totally different impression walking around the Botanic Gardens at different times of the gardening year. 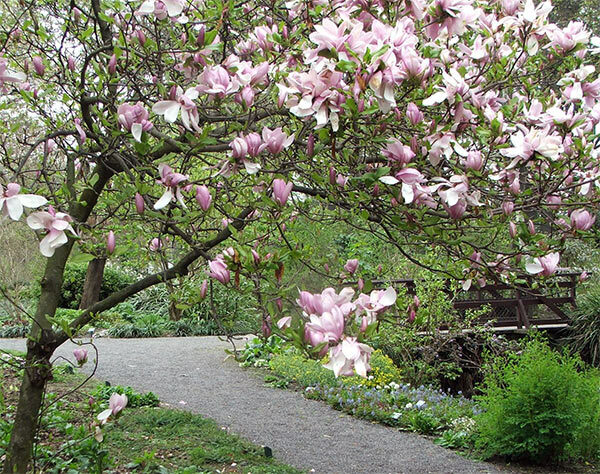 My mid-spring visit for 2005 was full of new growth and fresh promise. The pond plantings were stirring - fresh green Gunnera leaves partially unfolded, variegated irises squashed and spiky, reeds and grasses clumped and tidy - and just a few early ducklings. 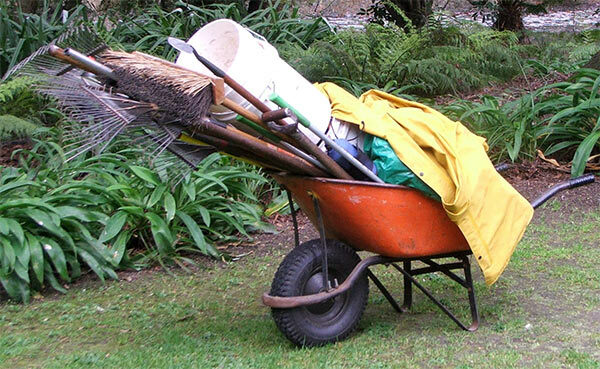 The Moosey Botanic Wheelbarrow Photographs, Series One, is ready for a keen publisher - anyone interested?